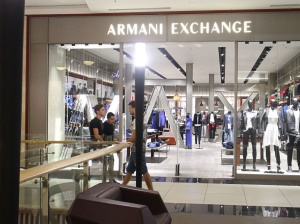 Created in 1991, Armani Exchange (often A|X) is geared towards younger customers. It is geared toward older teens and young adults with a contemporary fashion style. It features urban style, prêt-à-porter products, especially T-shirts, jeans, polos, and sports coats. Armani Exchange is the most affordable of all the Armani lines and mainly targets the American market. 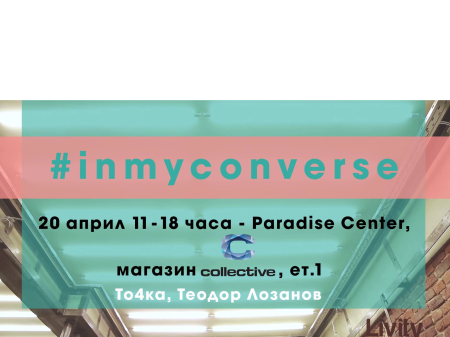 The invasion of the line in Europe starts from England, and for a short time is now on the Bulgarian market with the only store in Paradise Center. 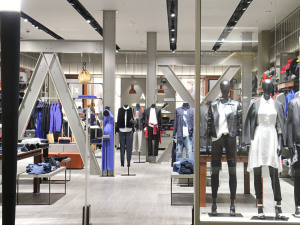 A|X Armani Exchange is the youthful label created by iconic Italian designer Giorgio Armani, offering men’s and women’s clothing and accessories located on 270 square meters of level 1 that are inspired by the designer’s codes of style. Armani Exchange captures the heritage of the Armani brand through a modern sensibility. A|X Armani Exchange A|X currently offers an exciting position for an enthusiastic, passionate, and highly motivated Store Manager to join our Union Square team in San Francisco, CA! As a Store Manager you will strive to achieve the best results possible in a fast paced, positive, and growing luxury environment. The style is urban and smart casual. This is felt also in the interior of the store, which is representing a typical urban environment provided by the three main elements - raw steel, old wood and rough concrete. The company said that they bring the atmosphere of the industrial interior of youthful and dynamic New York.